Unfortunately, accidents happen, especially on the job. Which is why it’s important to go over safety protocols with your employees. Safety protocols ensure that everyone stays safe and injury-free while at work, specifically around large machinery. From warehouses to hospitals, by going over the proper precautions with your employees they will stay cautious and unharmed. 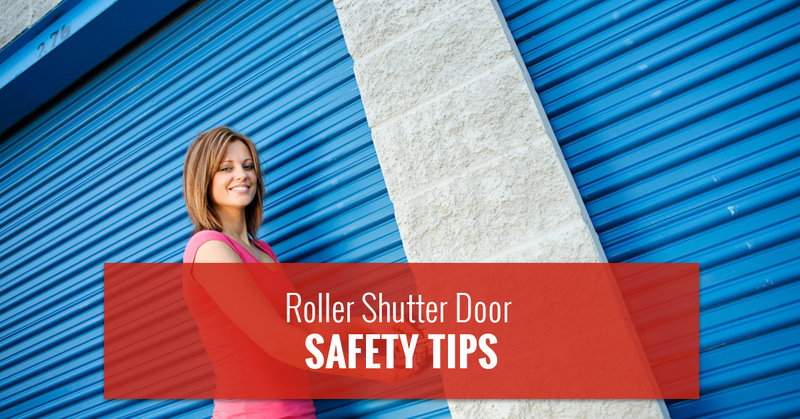 When it comes to roller shutter doors, which is a significantly large piece of machinery, it’s important to be very cautious because of the possibility of accidents. A good example is when employees might be a little daring and begin to race the garage door thinking no one will get hurt. This can lead to very hazardous accidents and result in worker’s compensation, which is why it’s important to teach your employees the seriousness of working around large machinery. If the proper precautions are taken from the beginning, then you won’t have to worry about worker’s compensation. In today’s blog, we’ll be going over safety tips to take around roller shutter doors. As we mentioned above, we know that accidents happen, which is why we want to help you stop them before they can happen. By teaching safety protocols in the first place, you won’t have to worry about anything happening in the future. These safety tips will help you protect your employees from anything detrimental happening with a roller shutter door. At United Steel Products, we’re happy to tell you that we also offer repair and maintenance services. Like a garage door at your home, finding out that you are faced with a breakdown can be costly and disrupt your entire day. Additionally, it’s important to always keep in mind when you are faced with repairs that you need to hire a professional. A professional will be able to fix your repairs correctly and in a timely-fashion. You might prefer to do a DIY project to save on costs for your business, but a professional will target the repairs without breaking anything in the process. When we come to install your door, make sure when we leave that you read the manual. These days, most people don’t even touch the manual because they think they know everything necessary to work technology; however, when it comes to roller shutter doors you need to know the big picture of your roller shutter door. If you don’t know how your roller shutter door works, then you can face serious consequences if the power were to go out, if it gets stuck, or you need to learn the emergency release feature. Take the time to inspect your roller shutter door very frequently, so you know what to tell us during your maintenance inspection as well as ensure that everything is working properly. The inspection will help you to see whether there is any wear and tear. Keep in mind that you shouldn’t remove or touch anything, but just look over the roller shutter door to see if anything needs to be adjusted. United Steel Products is a roller shutter door manufacturing and installation service. With an array of products, we can offer you services for any type of facility that needs some extra security. You’ll feel comfortable knowing your business is in the right hands. If you want a protected facility, then reach out to us to learn more about our services.